Digging up the Marrow: Where Are All the New, Creative Monsters in Horror? One of the many joys of being a parent, an aunt, or an uncle is passing on your biggest fandoms. For those who love horror, its all about that day when youre finally able to show your son, daughter, niece, or nephew the movies that both scared you silly and inspired your lifelong passion for horror as youngsters. More often than not, itll be films like Frankenstein, The Creature from the Black Lagoon, The Wolf Man, and The Blob. What all of those films have in common is the convergence of fantasy into realitythough their genre merits are legend and their scares are legit, theyre gateway horror movies. Everything in The Creature from the Black Lagoon, for example, is real except for the scaly humanoid that lives beneath the water. The titular Creature is the quintessential movie monster: something thats inhuman, nightmarish-looking, but also sympathetic enough to tap into even the oldest viewers inner tyke. After all, the fish-like ghoul just wants to love the stunning Julia Adams. Thats much easier for kids to embrace than, say, Henry: Portrait of a Serial Killer, The Shining, or The Exorcist, all of which are cerebral and, lets face it, far less pleasant than any made-up boogeymen establishing residence in childrens closets. But wheres the new Creature from the Black Lagoon? The sad truth is, kids arent currently able to experience that similar kind of monster discovery on their own. Theyre growing up in a climate where horror cinema seems to have forgotten all about ingenuity for the unrealistic. As they get older, todays budding horror consumers will rush off to multiplexes to watch, bless their poor souls, the rebooted Universal Monsters moonlighting as wannabe Marvel action heroes, or Poltergeist 2: The Other Versions Unnecessary Sequel, or Found-Footage Possession Movie No. 75. You have to feel for themtheyve been helplessly born into a time period where studio horrors stuck in a deep rut filled with one familiar trope after another. Even the good examples of modern monster flicks are déjà vu generators. Last years Godzilla was a winner, but its still another Godzilla, while Adrian Garcia Boglianos strong werewolf film Late Phases is simply that, a strong werewolf film, not a film that does anything new with the lyncathrope sub-genre. With its undeniably gnarly practical effects, Boglianos film is indebted to An American Werewolf in London rather than being an bold extension of John Landis 1981 classic. Dont sign the modern movie monsters R.I.P. Creativity death certificate just yet, however. 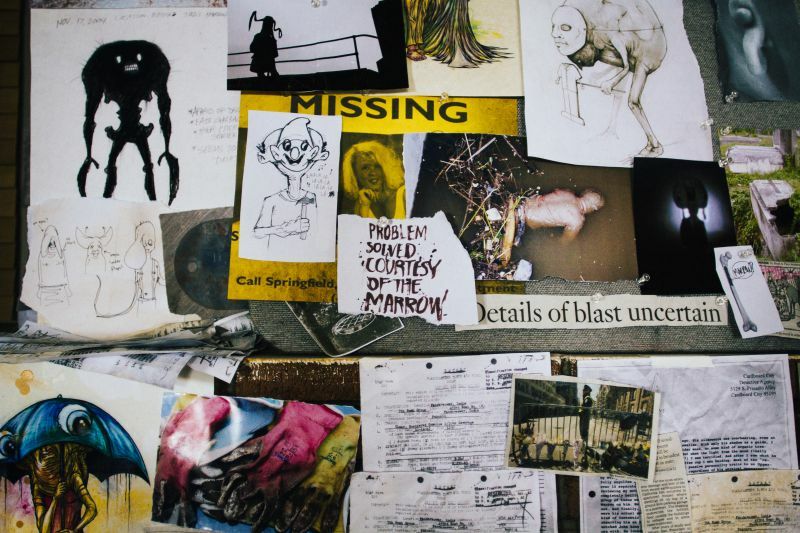 This weekend, Hatchet franchise mastermind Adam Green returns with his latest film, Digging Up the Marrow, a faux documentary thats fully embedded in the love of the progressive monster culture. 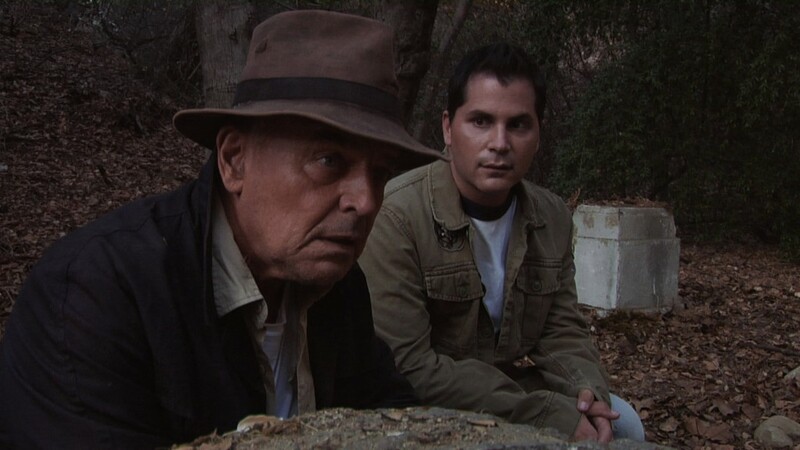 Green stars as himself and tracks down a man named William Dekker (played by Ray Wise), a possibly delusional elder who claims to have seen real-life monsters and know where they all reside: inside an underground world he dubs the Marrow, and whose entrance lies in a desolate cemetery on the outskirts of Southern California. Being that Digging Up the Marrow is a horror movie, of course, Green does eventually meet some of these monsters, andall designed by acclaimed artist Alex Pardeetheyre altogether grotesque and, most importantly, wholly original. Theres Vance, a hulking humanoid whose facial-covering sack also hides multiple appendages and deformities; Brella, an alluring beast with a womans physique and a large umbrella concealing its hideous head; and Chicken, a little bugger that skirts across the ground and combines the features of a spider and the headliner in Frank Henenlotters Basket Case. The film also wouldve never come to fruition if not for Greens decision to steer clear of studios and high-profile distribution companies. Imagine a bigger-budget version of Digging Up the Marrow, as much of a pipe dream as that soundsinstead of Greens films practical effects and monsters that can actually touch the human characters, youd most likely get digital creatures thatd look dated as soon as 2016. As it stands, Marrow features handcrafted monsters thatll look just as cool ten years from now as they do today. Matt Barone is a film-obsessed writer who, when hes not contributing to outlets like Complex, The Dissolve, and Badass Digest, endlessly weighs in on all things horror on Twitter.